Choosing the right “glass” — the differing optics available for use to assist in long-range shooting — is a big topic of debate in the community. But before we get into the details, it’s useful to understand how a scope works and the jargon used to describe a scope’s features. Don’t forget that once you have your scope, setting it up correctly is important to get the most from your scope. Modern long range scopes (telescopic sights) are made in various sizes and shapes, with varying feature sets. Depending on your mission they have different reticles, weights, and adjustments. The best scopes for our purpose have the anatomy pictured in the following diagram, starting at the front of the scope (the part closest to the muzzle) and working back toward the shooters eye. 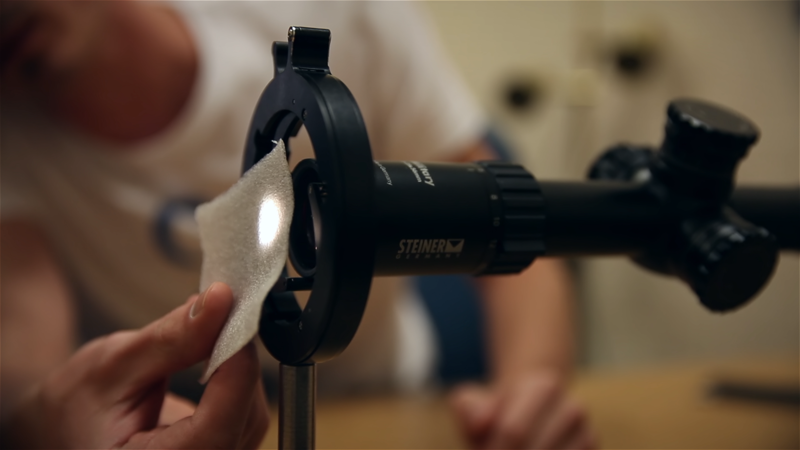 The objective lens transmits light back to the ocular lens, and its diameter is measured in millimeters, e.g. 50mm. The objective lens has no bearing on magnification or power of the scope. The larger the objective size, the more ambient light will be introduced into the scope and to your eye. 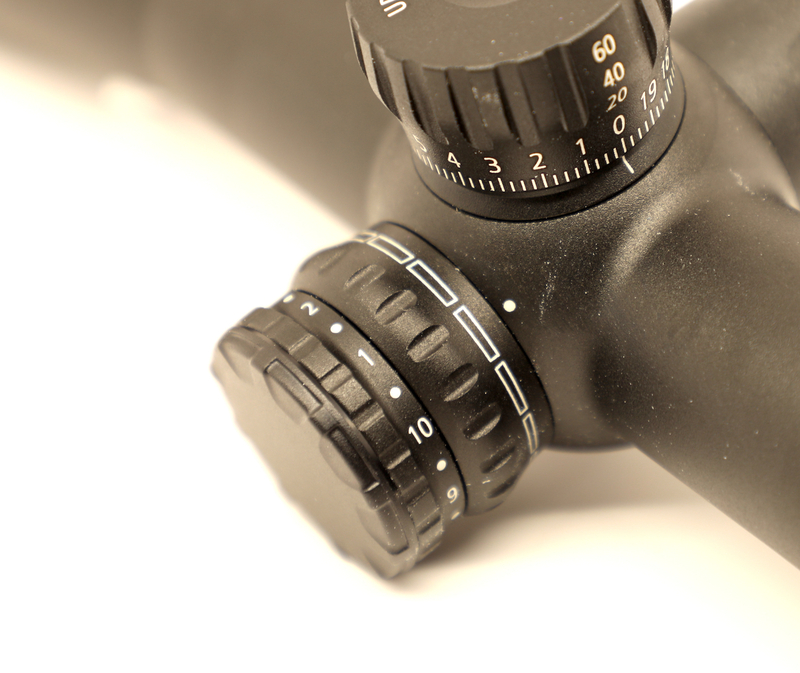 The exterior of the scope contains all of the necessary controls for making adjustments to the lenses. The most common scope tube sizes have a diameter of one inch, 30mm, and 34mm. The diameter is measured by the size of the main tube between the adjustment turrets and the objective bell, and the diameter from the turrets to the eyepiece or magnification ring. A one-inch scope is usually lighter and a 30/34mm barrel is usually thicker and heavier. The internal diameter of the telescopic sight main tube influences the area light can pass through. Lens elements and other parts can be mounted in and can control the internal parts for elevation, and the windage adjustment can move. The larger tube allows for greater elevation and windage changes and is better suited for long range shooting and hunting. The internal tube is “purged” and sealed so that rain and moisture won't get in and fog the lenses. The three most common adjustments for any rifle scope are windage, elevation, and parallax. 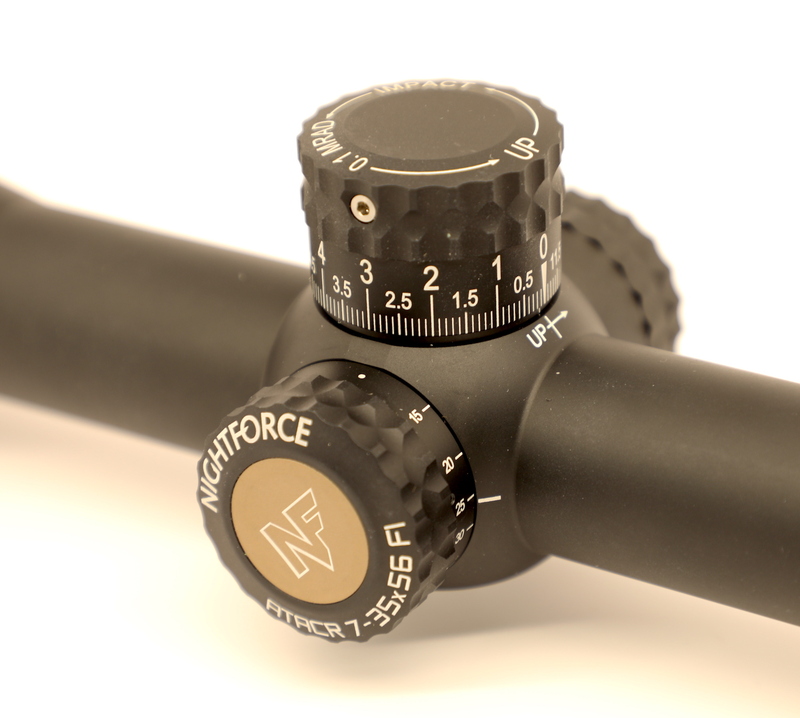 The windage turret sits on the side of the scope body and allows you to adjust the horizontal alignment of your reticle to adjust the point of impact for wind. The elevation turret sits on top of the scope body and provides vertical adjustment for your reticle to adjust for the bullet drop to the target. Windage and elevation adjustments are typically measured either in MOA (minutes of angle) or MRAD (milliradian) measurements. ‍Leupold scope with zero stop turrets. Zero-stop elevation controls (part of the elevation turret) are a useful feature for long range shooters. They can be set to prevent inadvertently dialing the adjustment turret below the primary zero. ‍Zeiss scope with illumination control knob. This feature is useful on long-range scopes because it allows the shooter to physically verify that the elevation turret is dialed all the way down, avoiding confusion regarding the elevation status on two- or multi-revolution elevation turrets. Reticle illumination controls on the side of the scope body can also be useful for long range hunters operating in low light conditions. The illumination adjustment control of the reticule regulates the brightness level of the lit parts of the reticles crosshairs. Note: With any illuminated low-light reticle, it is essential that its brightness can be adjusted. A reticle that is too bright causes glare in the operator's eye, interfering with the ability to see in low-light conditions, due to how our pupils' process light (they contract quickly upon receiving any source of light). Most illuminated reticles provide adjustable brightness settings. 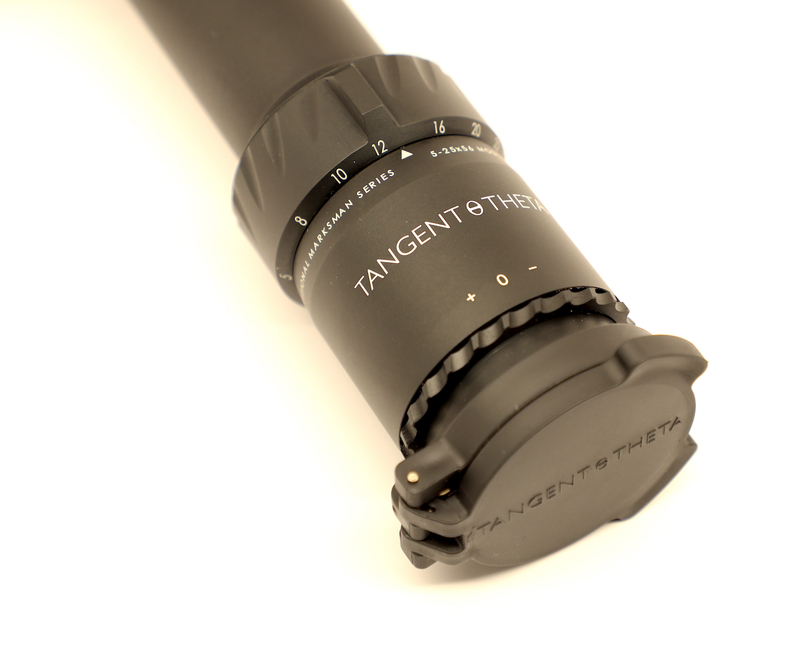 The parallax error adjustment turret, or AO, sits on the side of the scope body and changes the adjustable objective lenses to correct for parallax error, defined later. An adjustable objective is often a dial or ring around the objective bell or a knob on the left side of the turret housing. 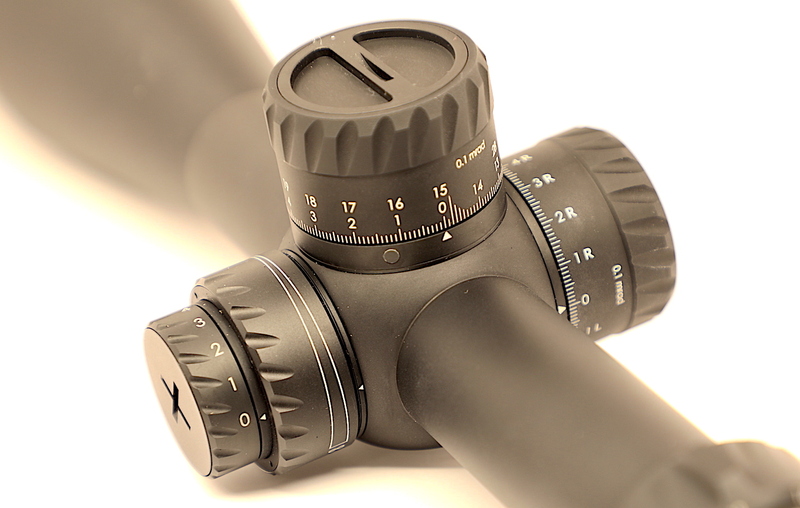 The AO allows you to adjust your scope's parallax to a certain distance, either by moving these adjustments until a clear picture is perceived, and/or the marked corresponding incremental yardages are approximated to your target distance. 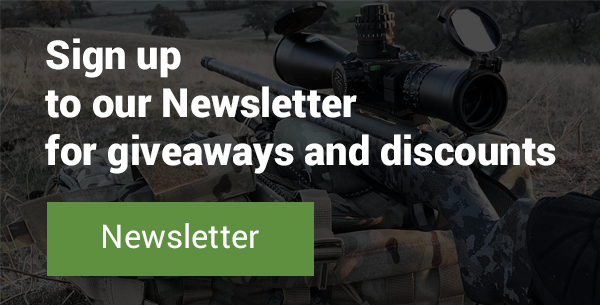 The correct setting of an adjustable objective prevents the apparent movement between the reticle and the target when the shooter moves his head slightly off center of the rifle scope, which is known as parallax error. The magnification power ring is usually located on the smaller ocular eyepiece as a rotatable ring: turning this ring changes the magnification setting on the scope. In a variable power scope, this ring allows the shooter to adjust the power between its ranges. For a long range scope, that may be 5-25x. Turning the ring makes the target appear closer or further away, and the magnification setting is between five to 25 times the original size in the scope. 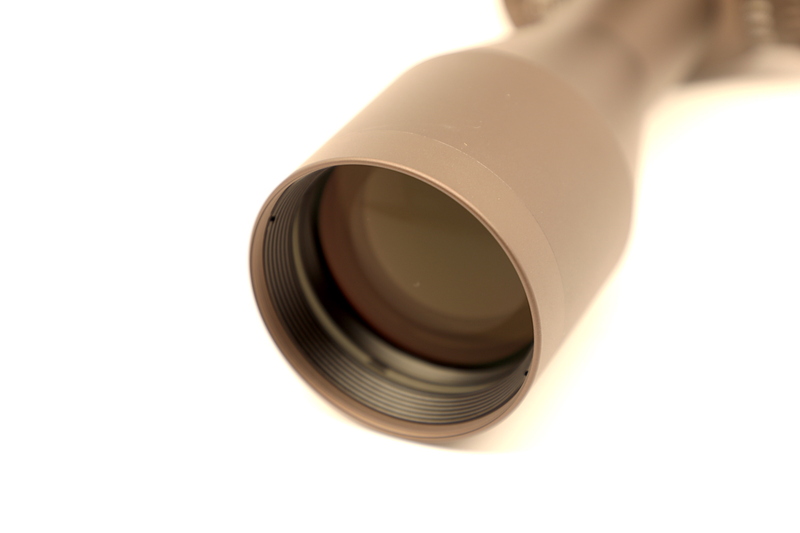 Keep in mind that a larger magnification leads to a smaller field of view, an important factor in long range hunting. This eyepiece has a locking diopter adjustment, a nice additional feature. The eyepiece holds the ocular lens. 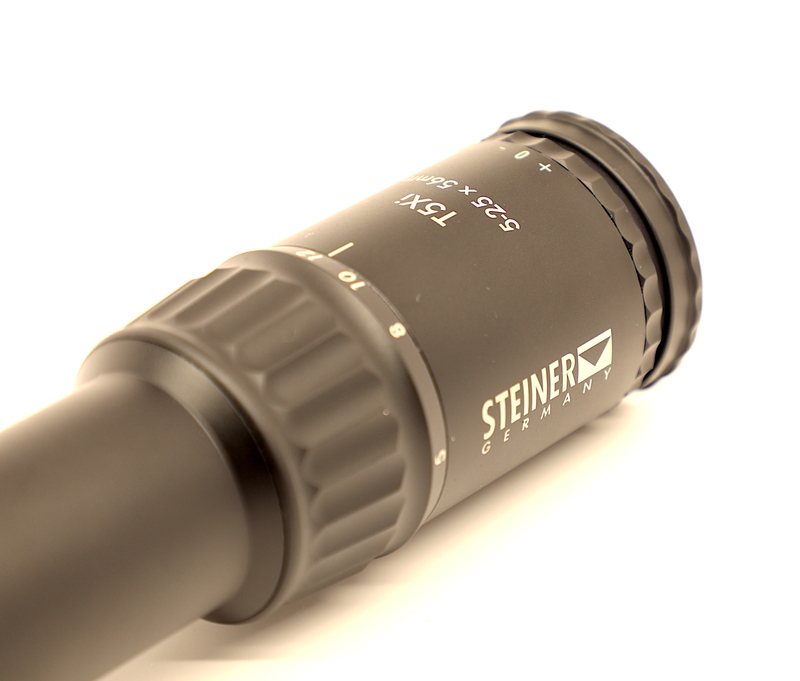 The eyepiece might be adjustable for reticle focus (a diopter) to obtain a sharp picture of the reticle for your eyes. It should be set for you only, and you should set the eyepiece focus once when you first set the scope up. Don’t adjust it unless your eyesight changes. Note: This functionality is especially important for older shooters and is not on every scope: the best scopes will have a locking diopter. 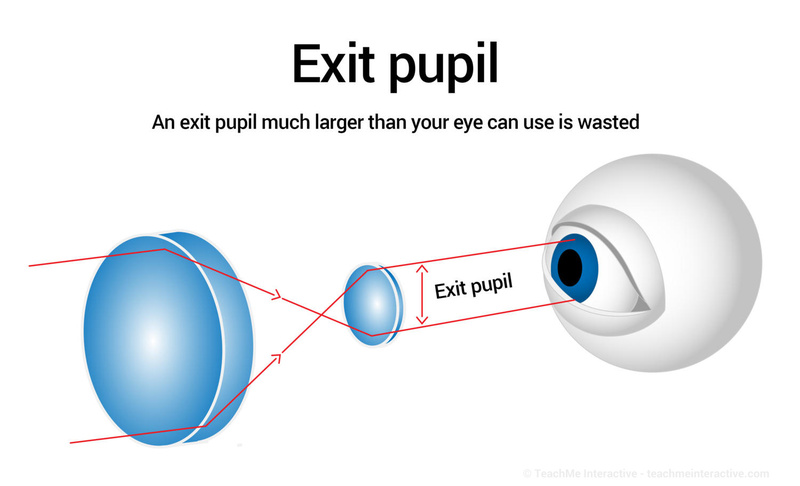 The ocular lens magnifies the light from the focal point and is usually smaller than the objective lens. It focuses the light gathered by the other end of the rifle scope, the objective lens, into the eye of the viewer. Scopes concentrate the light gathered by the objective into a beam, the “exit pupil,” whose diameter is the objective diameter divided by the magnifying power. For long range shooting, you want a scope with a variable zoom, diopter, parallax, windage, and elevation adjustments at a minimum. Cheaper scopes may only have fixed zoom, parallax and no diopter, which is not optimal.